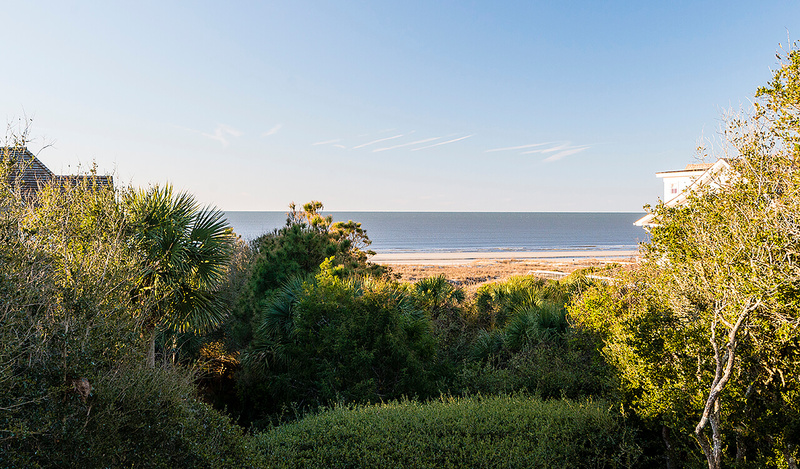 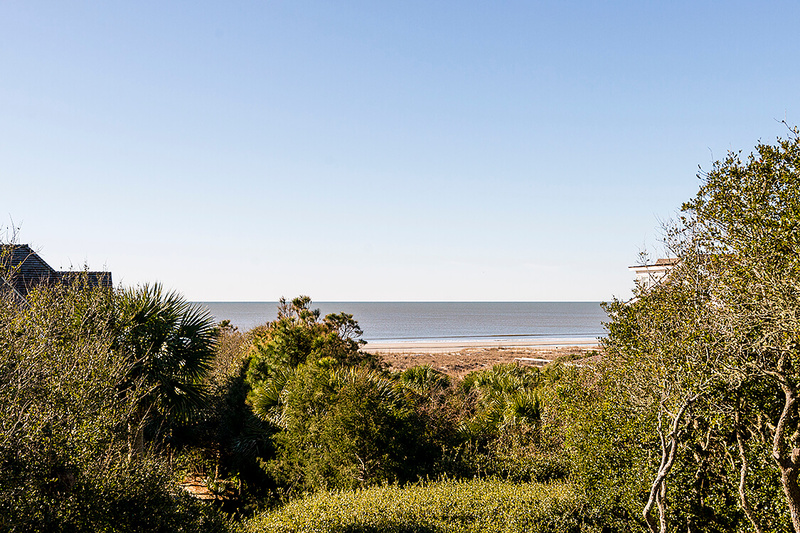 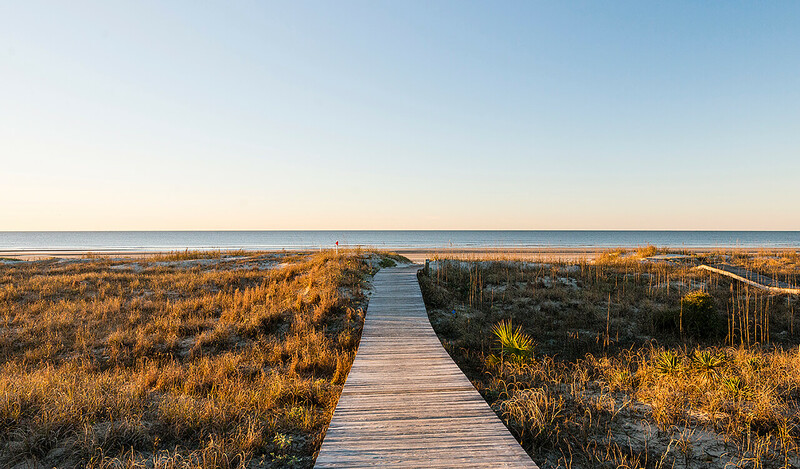 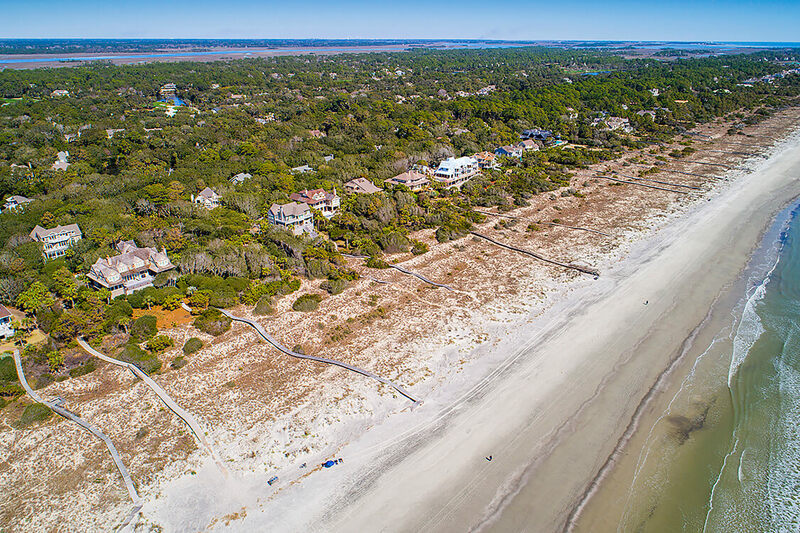 Just steps from the Atlantic Ocean and Kiawah’s pristine beach—with a rear gate opening onto boardwalk no. 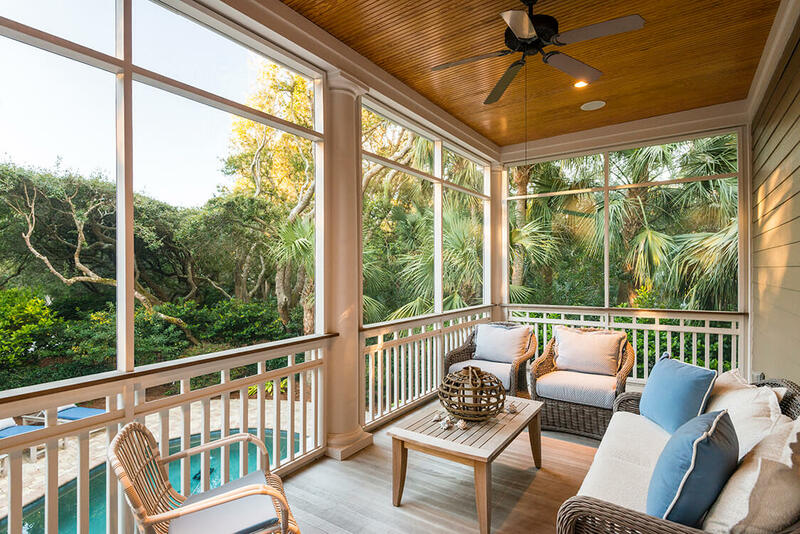 32—the coastal retreat at 56 Surfsong Road offers breathtaking ocean and treetop views from a myriad of outdoor living spaces and expansive windows. 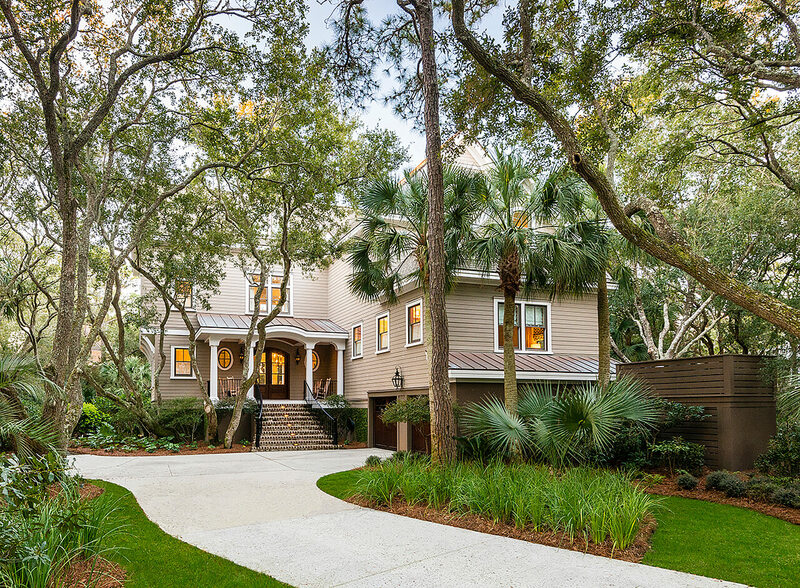 Beautifully designed and landscaped, this family-friendly home enjoys a desirable southern exposure. 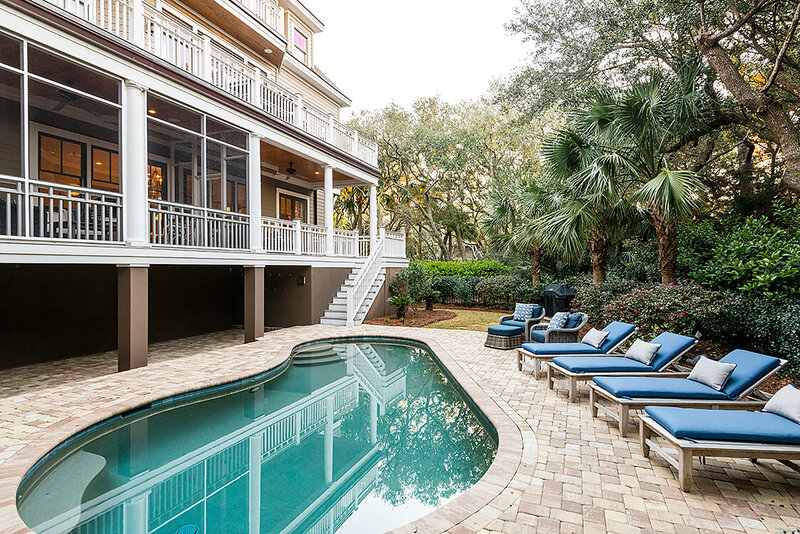 Majestic live oaks, palmetto trees, hedges, and discreet fencing surround the rear of the property with its in-ground saltwater pool and pool deck of stone pavers, framing an oasis of privacy. 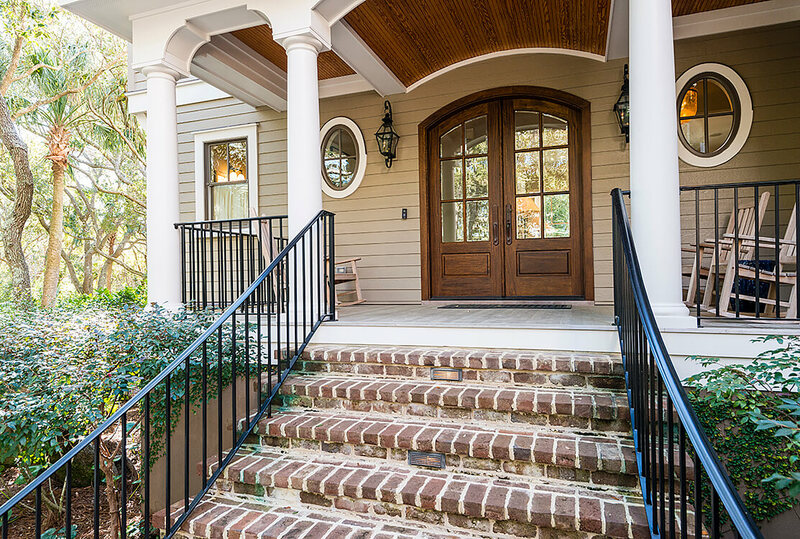 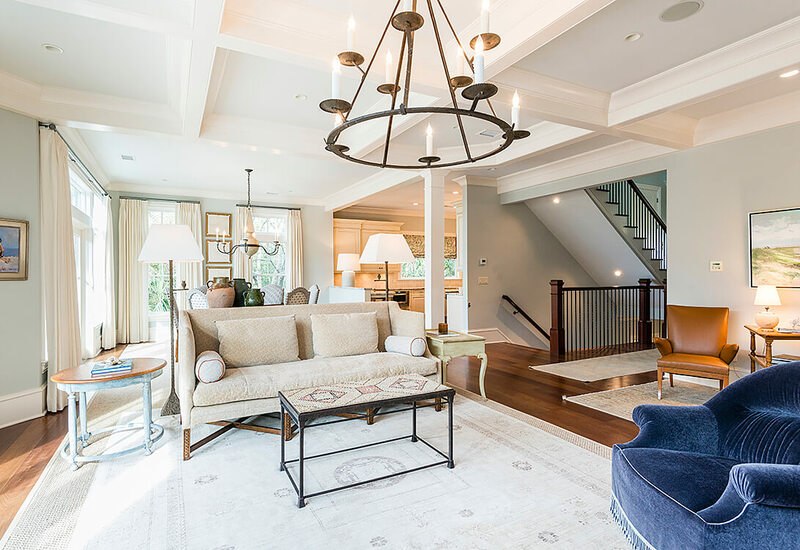 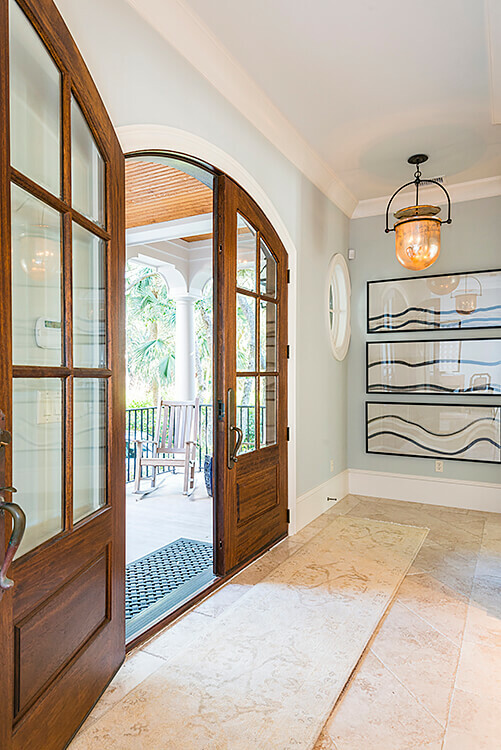 Pull into the home’s drive with its extra parking space and ascend its welcoming stairs of Charleston brick to the front porch with its wooden barrel-vaulted ceiling and arched entry doors. 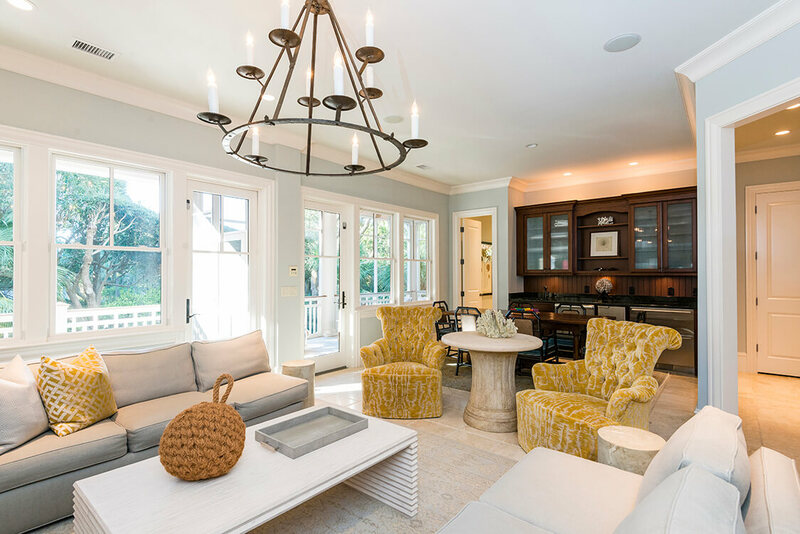 Inside, every space is immaculate, with high-end chandeliers, furnishings, and interior design by Sees Design. 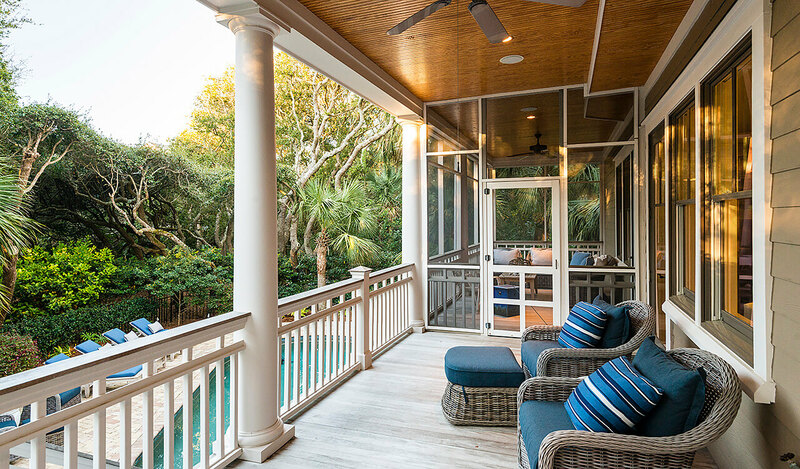 The chiseled stone floors extend from a wide foyer into the airy living room with its pale coastal colors and furnishings, high ceilings, wide white trim, and wall of windows and glass doors leading to the first-floor covered balcony and screened porch, together stretching the width of the home. 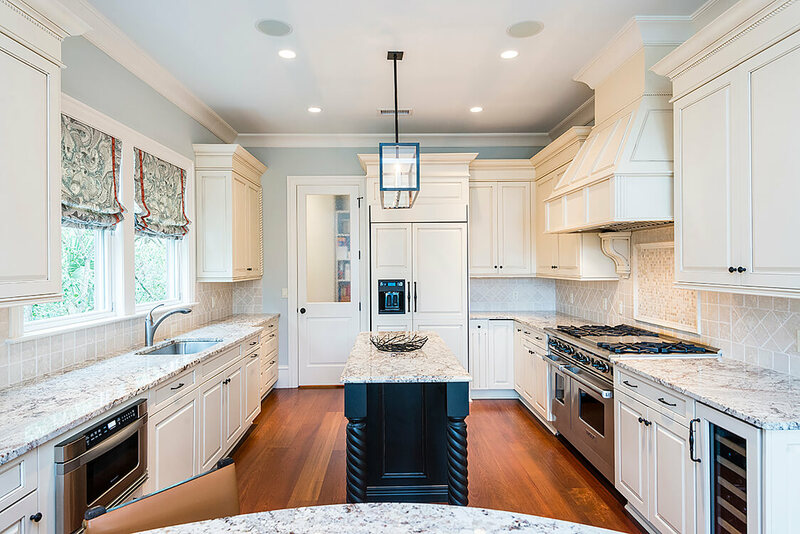 At one end of the living room is a dining area with a full bar, complete with custom cabinetry and backsplash, prep sink, stainless-steel refrigerated drawers, dishwasher, and icemaker. 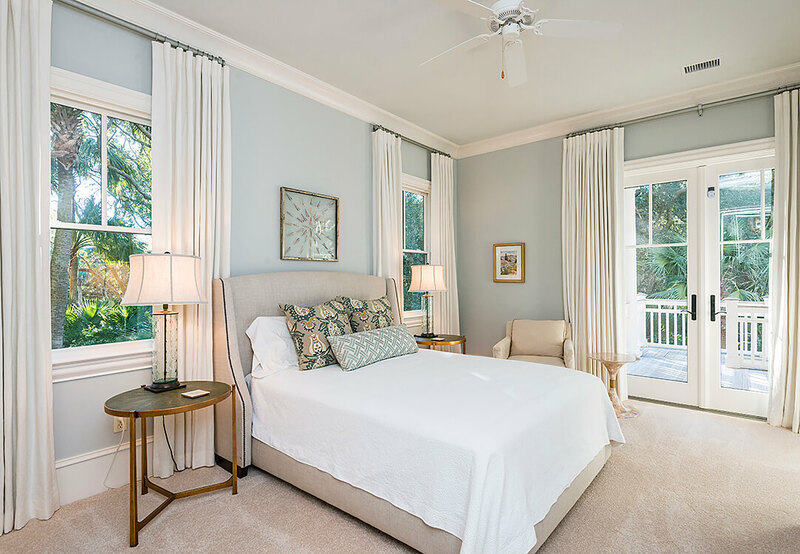 Three light-filled bedrooms each enjoy high ceilings, tranquil coastal colors and furnishings, and full baths. 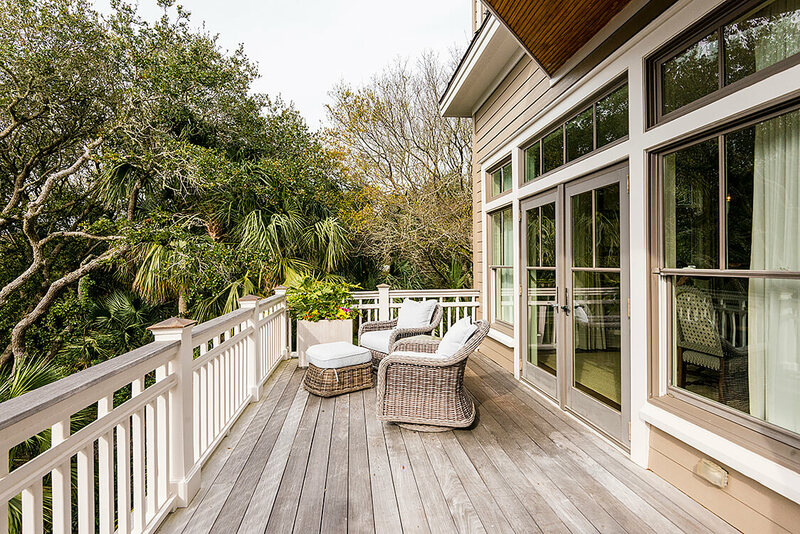 Take the elevator or staircase to the second level’s ocean room, where the home’s reverse floor plan allows for lovely treetop views from the main living areas. 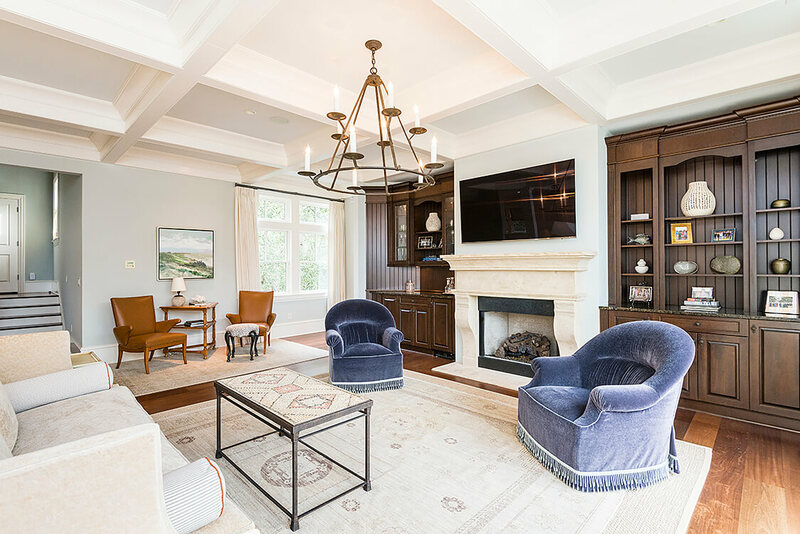 Here, striking dark-wood cabinetry flanks an exquisite stone fireplace, a white coffered ceiling rises high above the space, and a row of transomed glass doors frames the lush views. 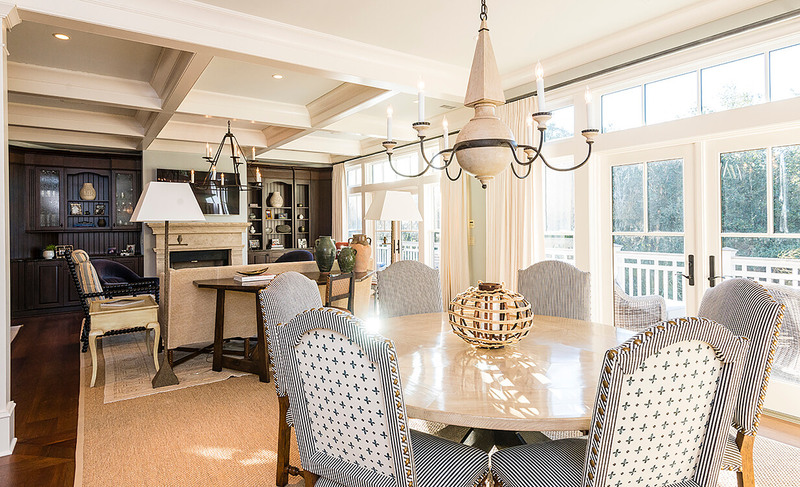 Gorgeous Brazilian cherry hardwood flooring extends into a dining room streaming with light from nearly floor-to-ceiling windows and glass doors to a second-floor balcony offering a tantalizing peek of the Atlantic Ocean. 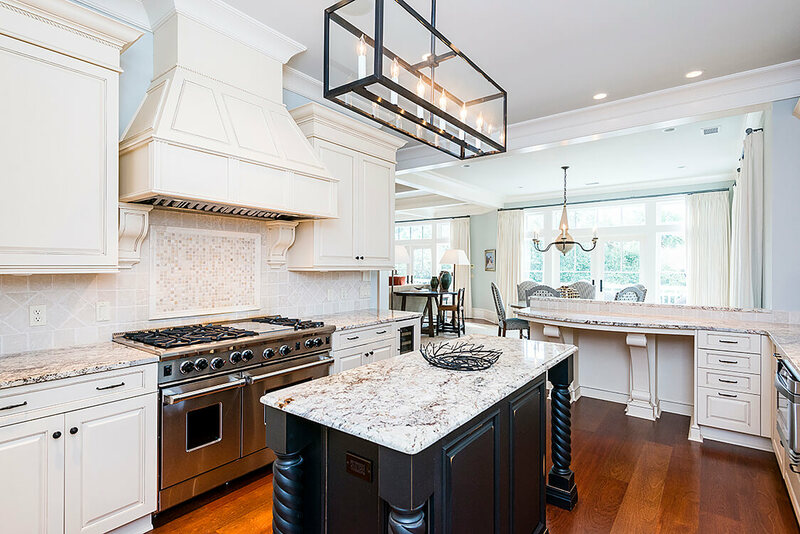 The chef’s kitchen features professional-grade Wolf® appliances, including a six-burner gas cooktop, dual ovens, undercounter microwave, two undercounter wine coolers, and refrigerator paneled to match the white cabinetry. 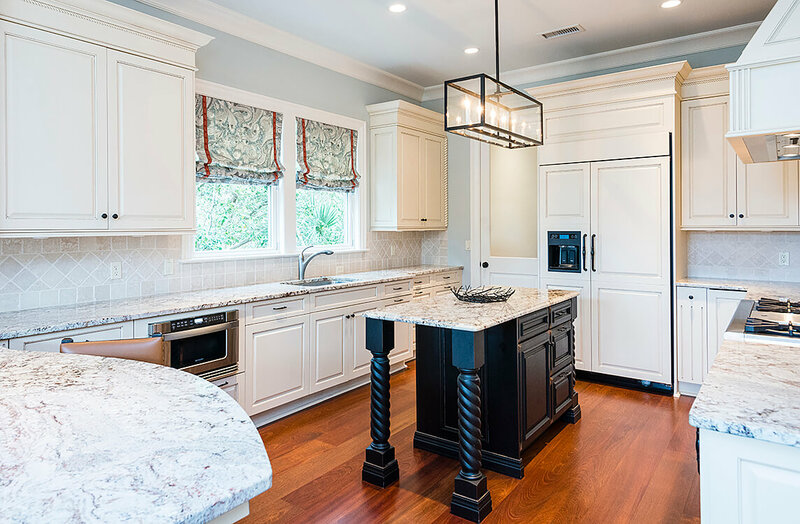 A custom stove hood, beautifully veined granite countertops, and center island of contrasting dark wood accent the space. 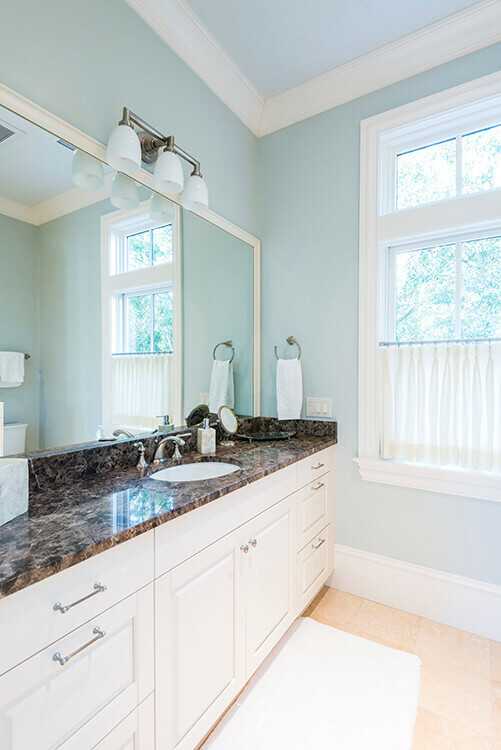 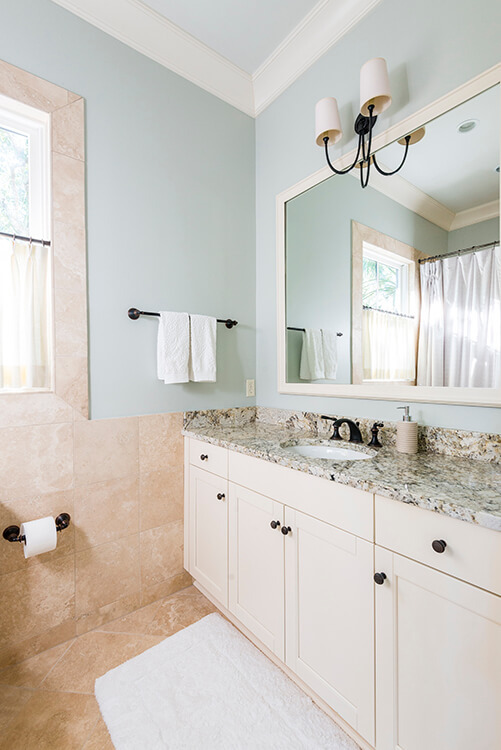 Windows over the sink invite natural light inside, and an adjacent pantry provides ample extra storage space. 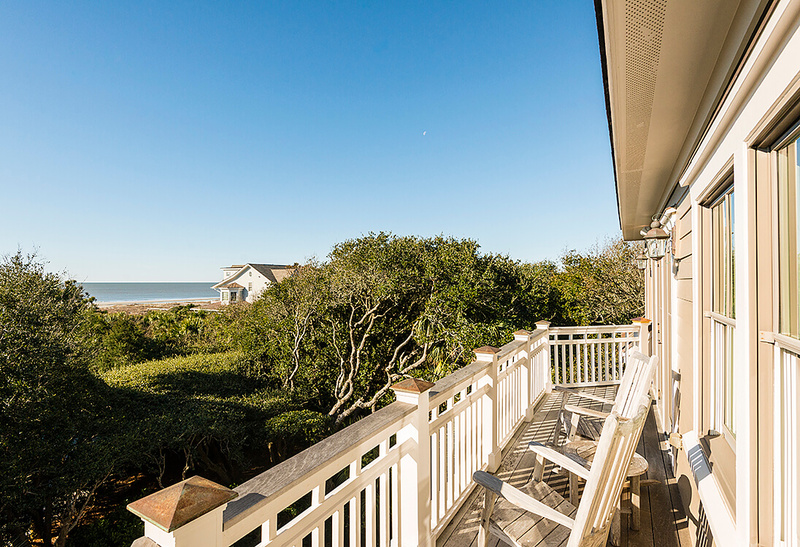 A fourth en suite bedroom, tucked behind the ocean room, also offers individual access to the second-story balcony. 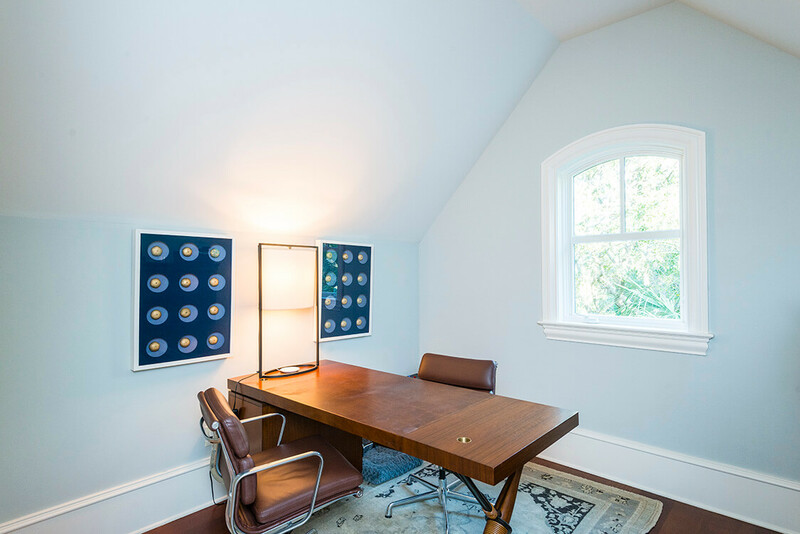 A private home office of the palest blue, set beneath angled ceilings, is set just below the second floor. 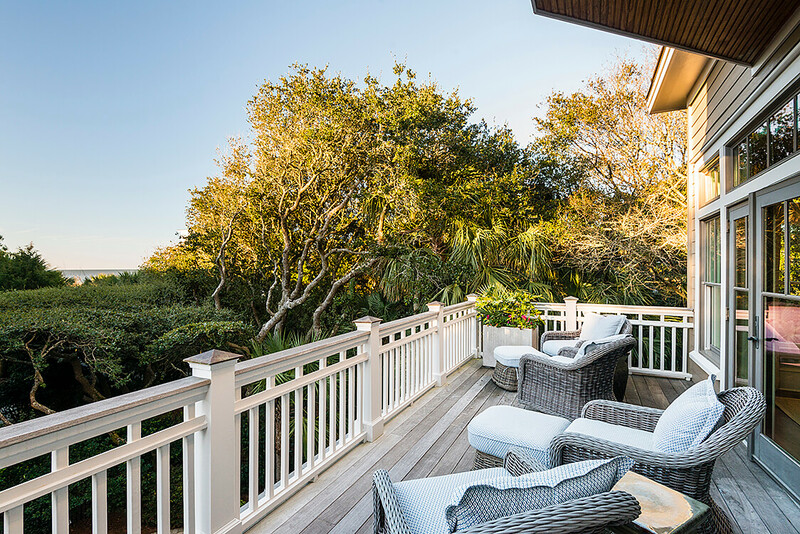 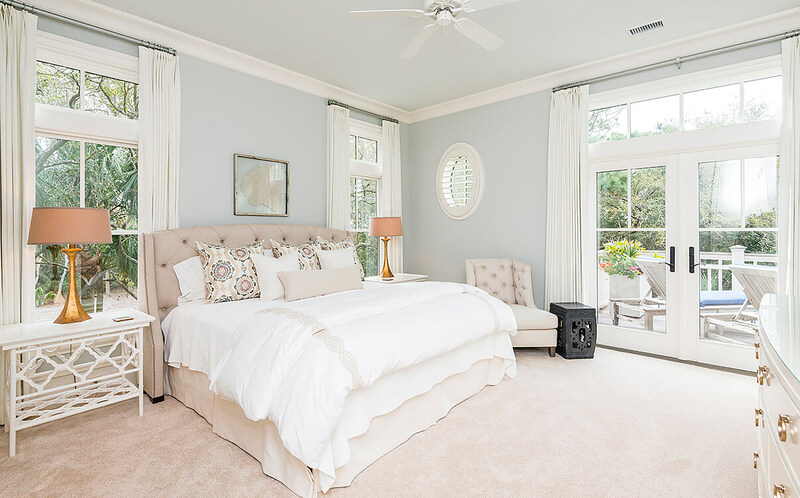 The top floor is simply stunning, with breathtaking views of the Atlantic Ocean over the treetops from the master bedroom, bath, and third-floor balcony. 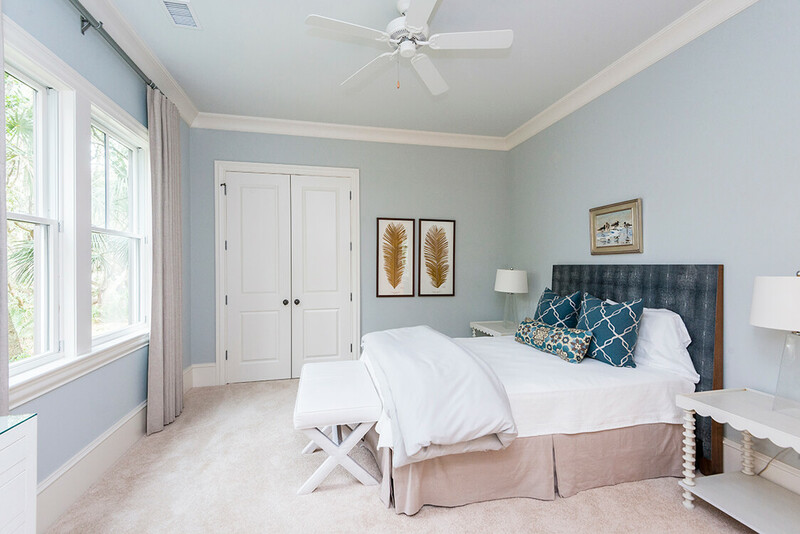 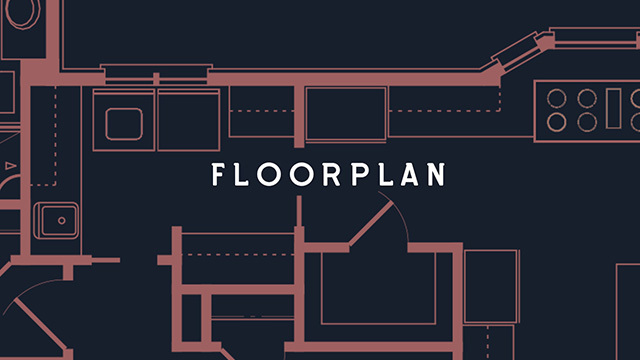 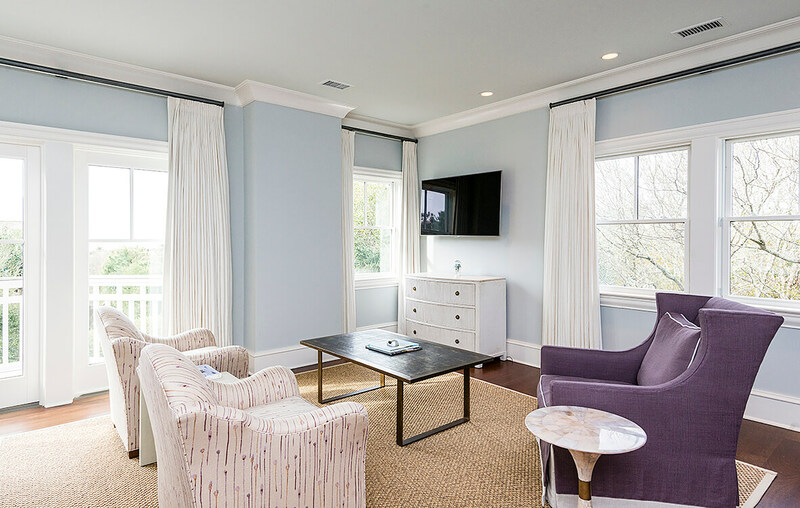 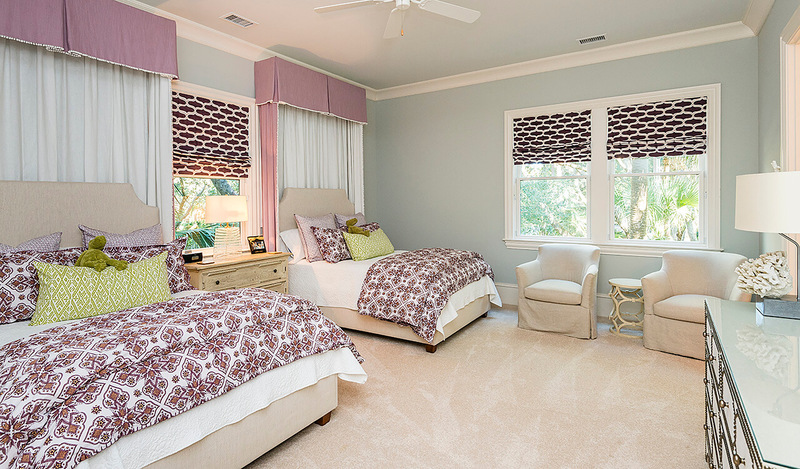 This entire level is dedicated to the expansive master suite. 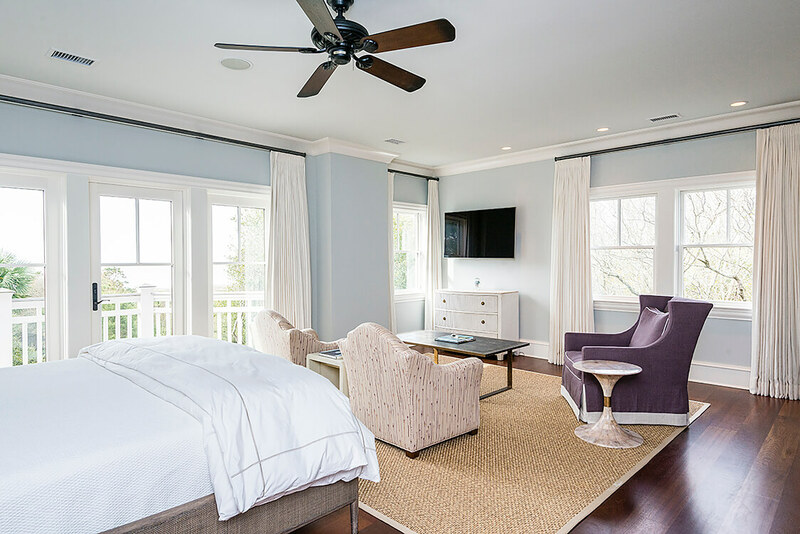 The airy bedroom, lined with sunny windows and glass doors opening to the balcony, includes a spacious sitting area. 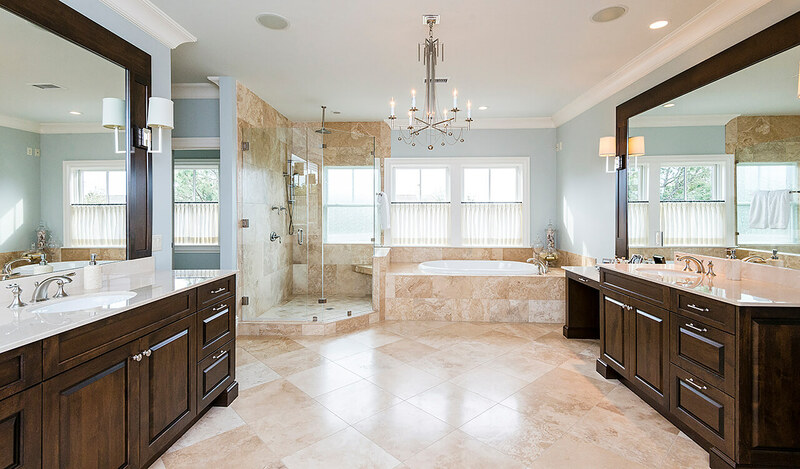 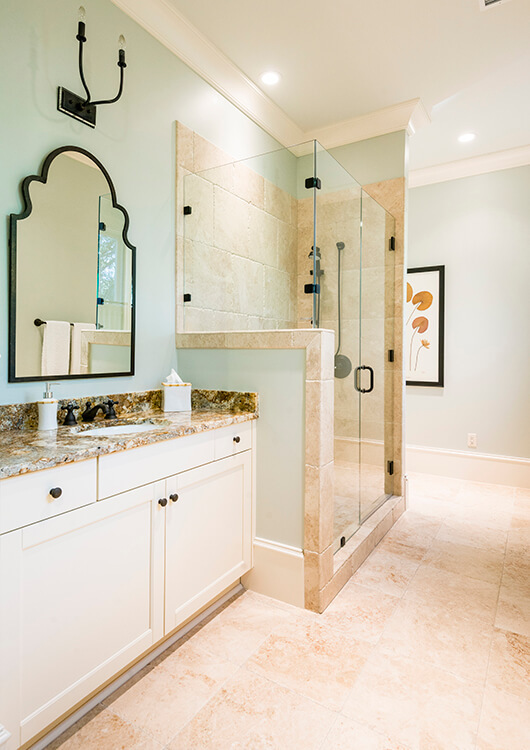 Its voluminous bath features lovely tile flooring set on the diagonal, his-and-hers vanities, a generously sized frameless-glass walk-in shower, a soaking tub set beneath windows framing the ocean views, and his-and-hers walk-in closets. 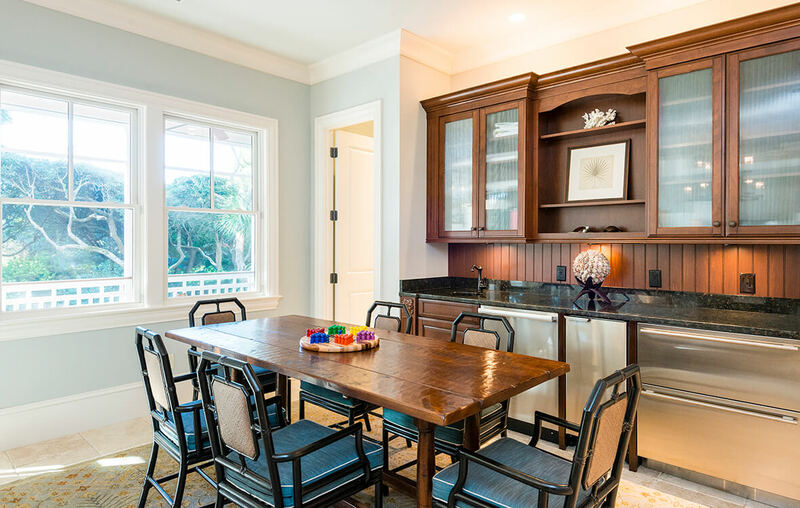 There’s also a breakfast bar, and a third-floor laundry room completes the level. 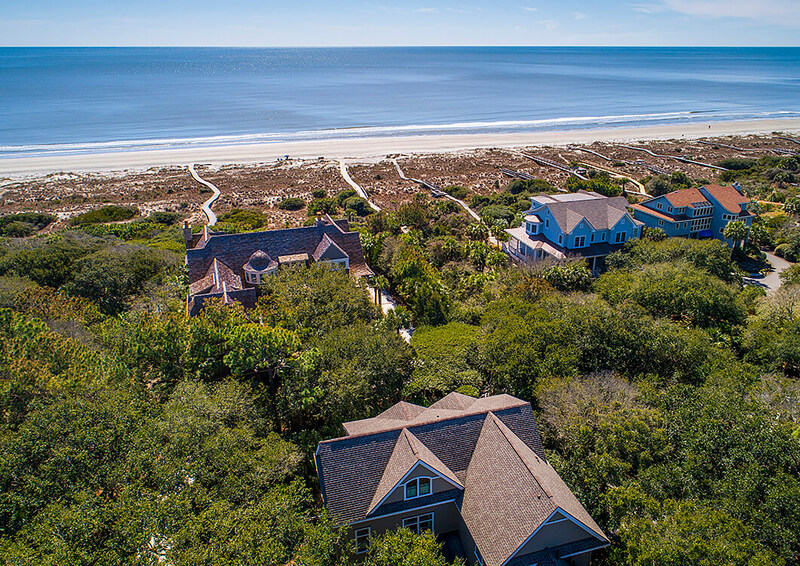 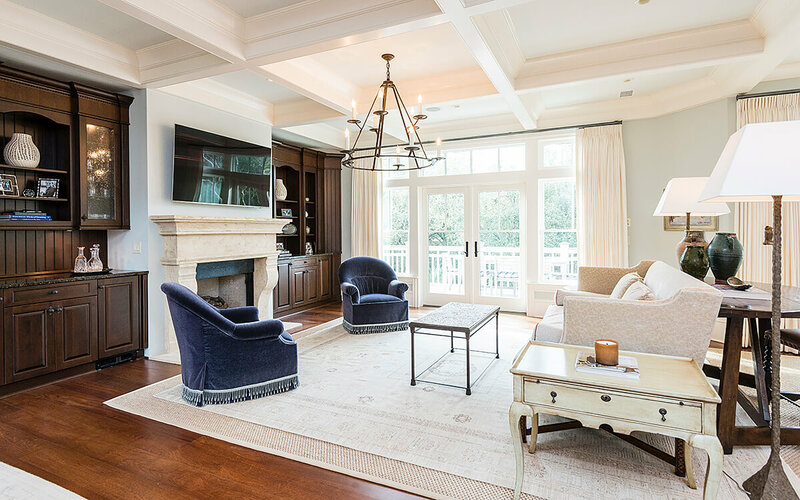 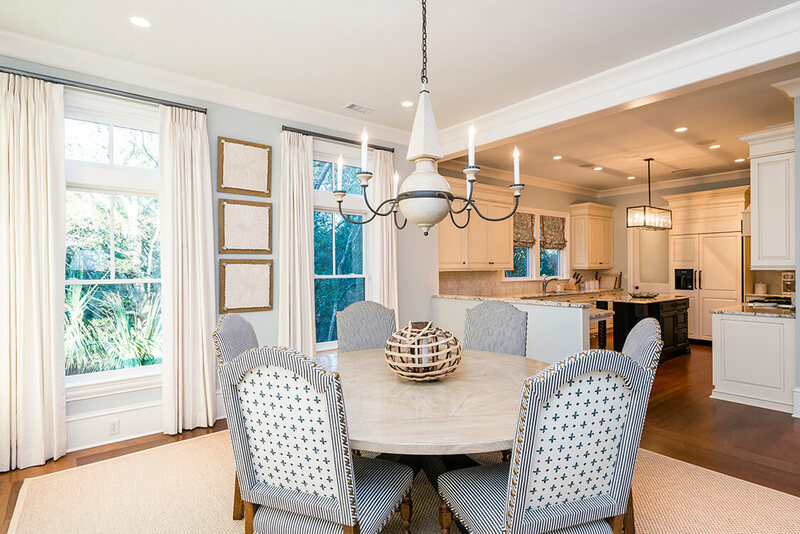 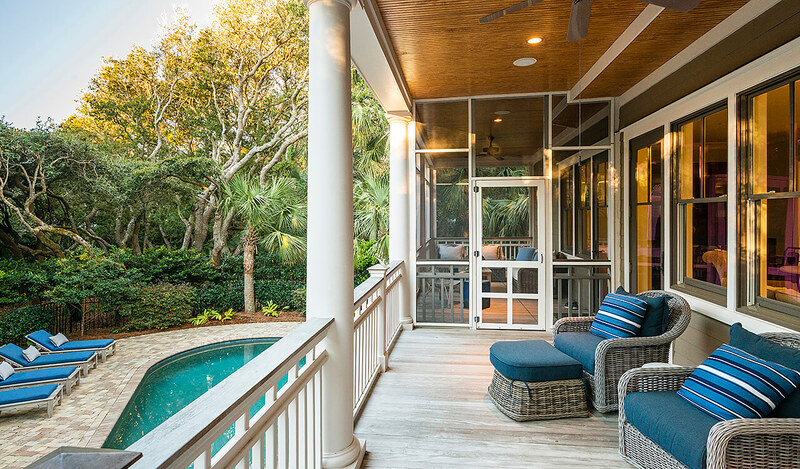 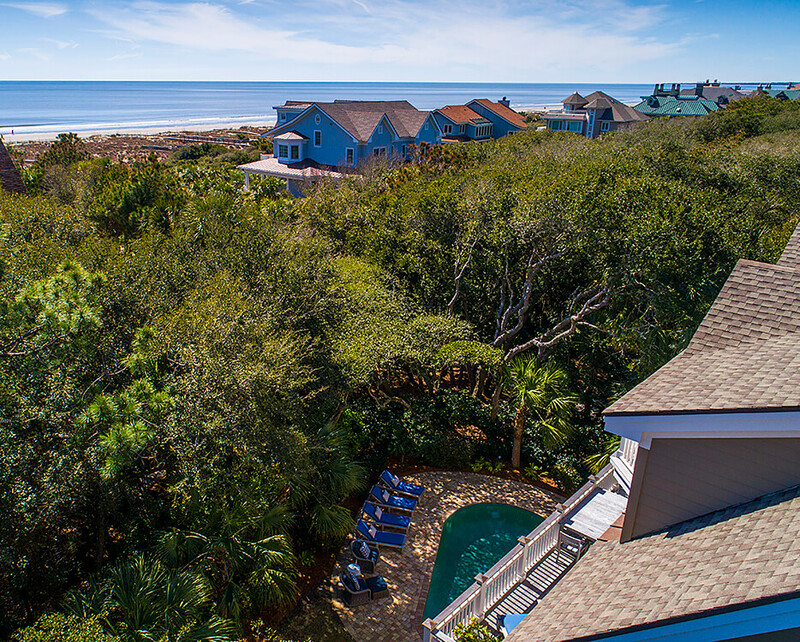 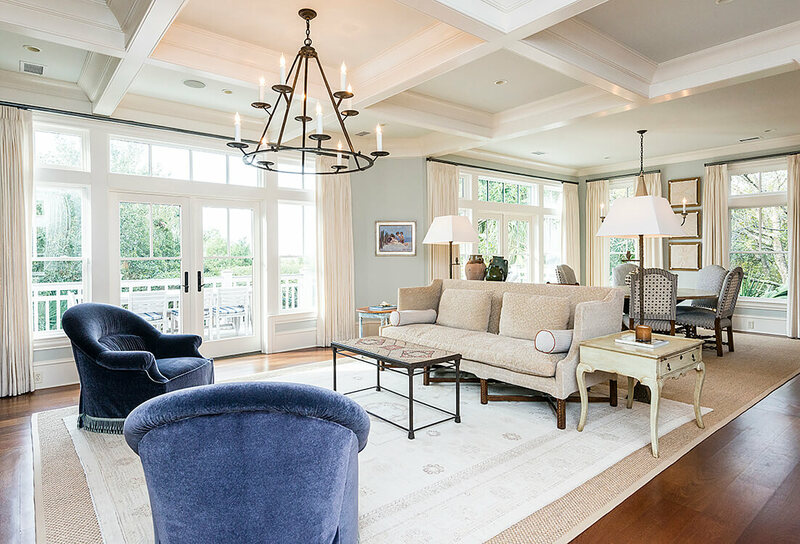 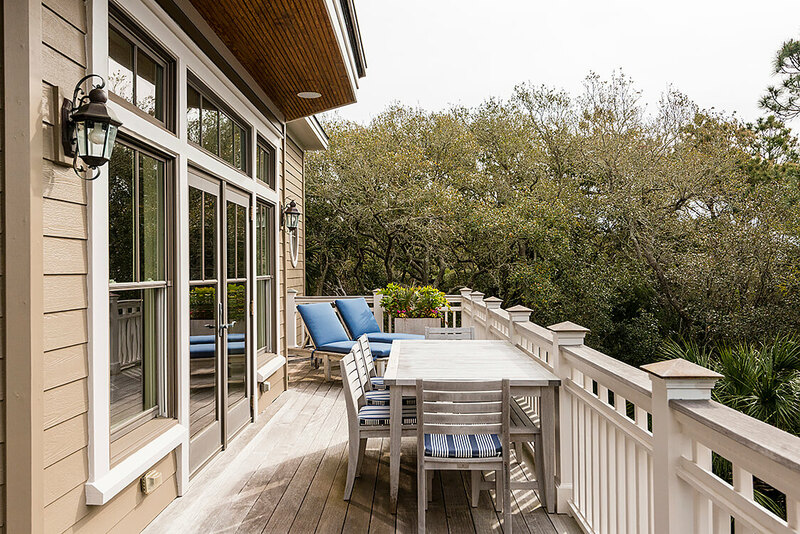 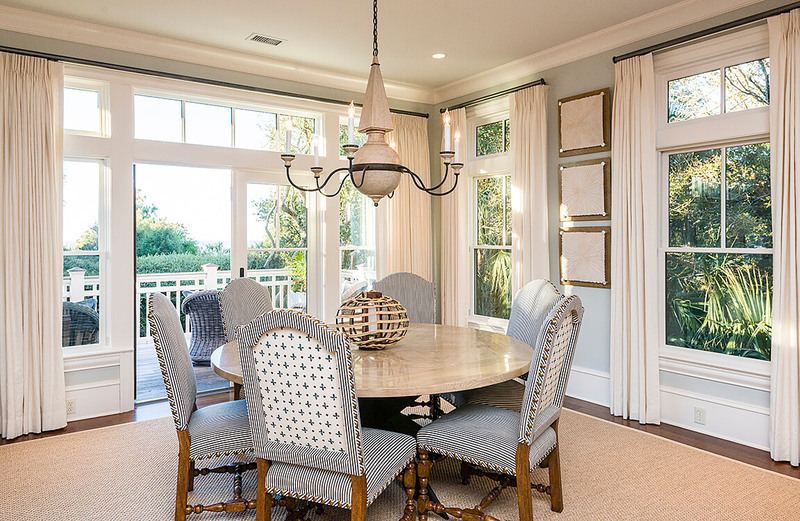 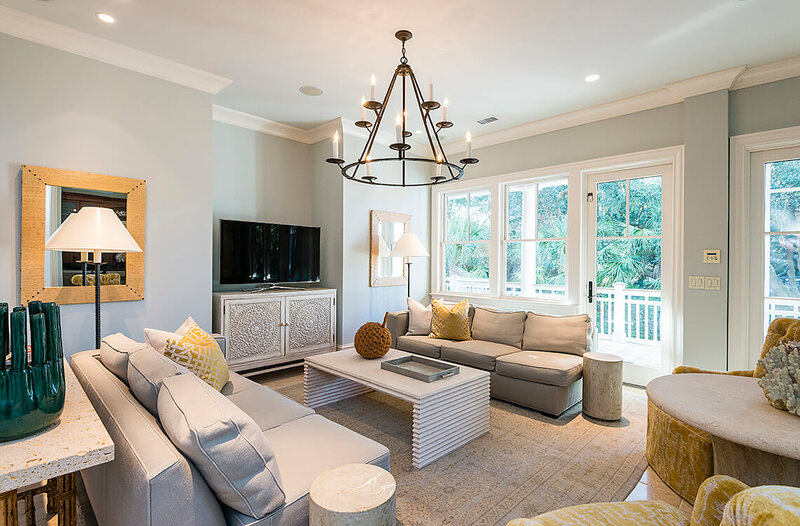 Located in Kiawah’s desirable Vanderhorst Beach neighborhood, this stunning coastal home is offered fully furnished. 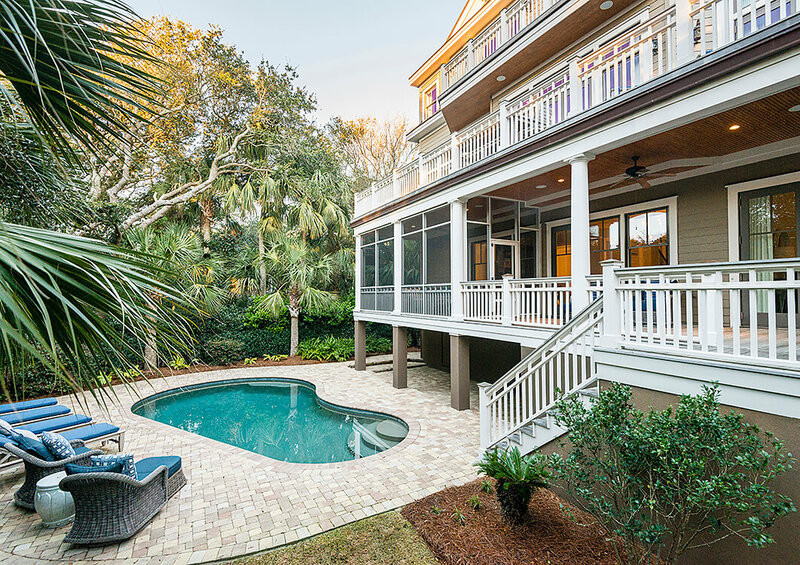 Additional features include a two-car garage, outdoor lighting, irrigation, sound and security systems, and tankless water heater. 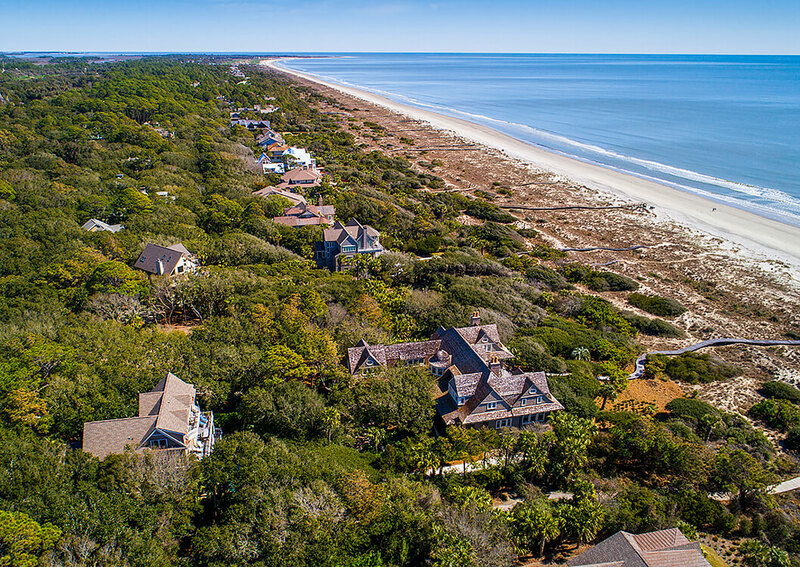 A Kiawah Island Club Golf or Social Membership is available with the purchase of this property.